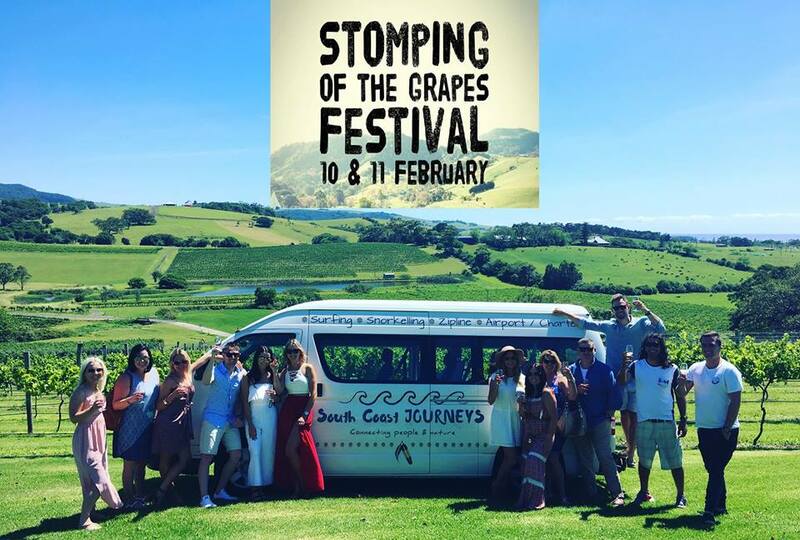 South Coast Journeys will be running transport from the Illawarra region to the Stomping of the Grapes at Crooked River Wines Festival on the 10th and 11th February! Yahoo! $50 per person. Come and enjoy some amazing food, wine and craft beer with some crazy good entertainment!! Crooked River Wines have got some pretty darn exciting artists booked! Lineup includes: Pearlnoire ~ The Barefooted Souls ~ The Groove ~ Platinum Duo ~ Timothy Bowen and MORE! Crooked River Wines will also have a grape stomping station! Ever experienced grapes popping between your toes? You’ll love it! $15 gets you entry to the festival, a souvenir glass which will be filled on arrival with your wine of choice!